NEC is contributing to the Global Wireless Summit 2016 from 27 to 30 November in Aarhus, Denmark. 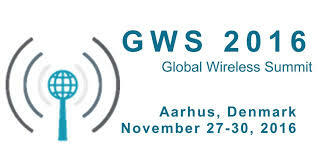 GWS is one of the world's largest conferences on the latest advances in wireless technologies, bringing together academic, industry and standardisation bodies to explore activities, trends and future challenges for ICT globalisation. This year's event takes place under the theme of "Technology for the Betterment of Human Communication," where keynote speaker, Dr. Anand R. Prasad, Chief Advanced Technologist, Executive Specialist at NEC Corporation, is giving a presentation on "5G Internet of Things Security," which outlines the key role played by the Internet of Things (IOT) in the standardisation of 5G. The presentation will cover use cases and business models associated with 5G IOT and how they relate to security. The focus will be on security implemented using 3GPP mobile communications standards as well as the security of connected vehicles and the concept of secure networks as a service. Dr Prasad is among the renowned experts forming part of the 5G-ENSURE Advisory Board.